DailyCosmicNews - Your Space Blog! : What is SEV? 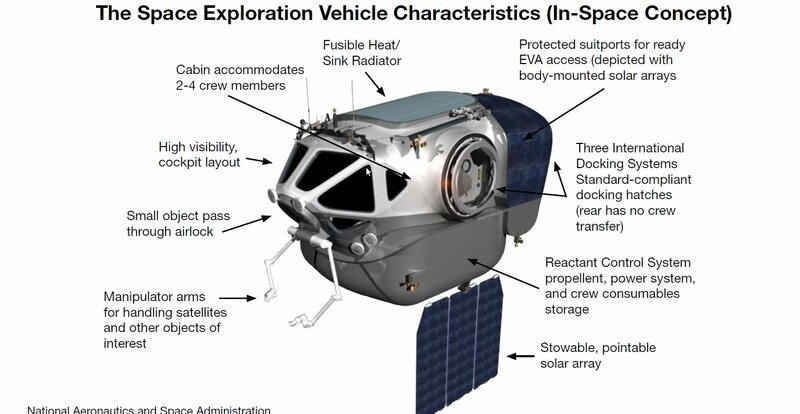 NASA is testing concepts for a new generation of roving space exploration vehicles. These new ideas will help future robots and astronauts explore more than ever before, build a long-term space presence and conduct a wealth of science experiments. Roving vehicles proved invaluable during the Apollo missions, enabling astronauts to complete almost 20 trips across the surface of the moon. With each successive mission, NASA improved the rovers’ capacities, increasing the number and duration of exploration missions. NASA is still building on the lessons learned during the Apollo missions, and also incorporating the experience gained operating unmanned rovers on Mars. Using them, NASA has developed the multi-mission Space Exploration Vehicle, or SEV. The SEV cabin concept could be coupled with a flying platform for use near the International Space Station, satellite servicing and near-Earth asteroid missions. A wheeled chassis concept, unveiled in 2007 with an upgraded version completed in 2009, could be used for exploring planetary surfaces. NASA plans to conduct human space exploration missions to a variety of destinations. To maximize the number of destinations NASA explores, space exploration systems must be flexible, and NASA must minimize the number of systems developed. 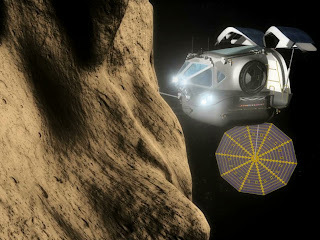 One system concept NASA is analyzing is the SEV. The SEV would use the same cabin for in-space missions (i.e., satellite servicing, telescope assembly and exploration of near-Earth asteroids) as well as surface exploration on planetary bodies (i.e., the moon and Mars). 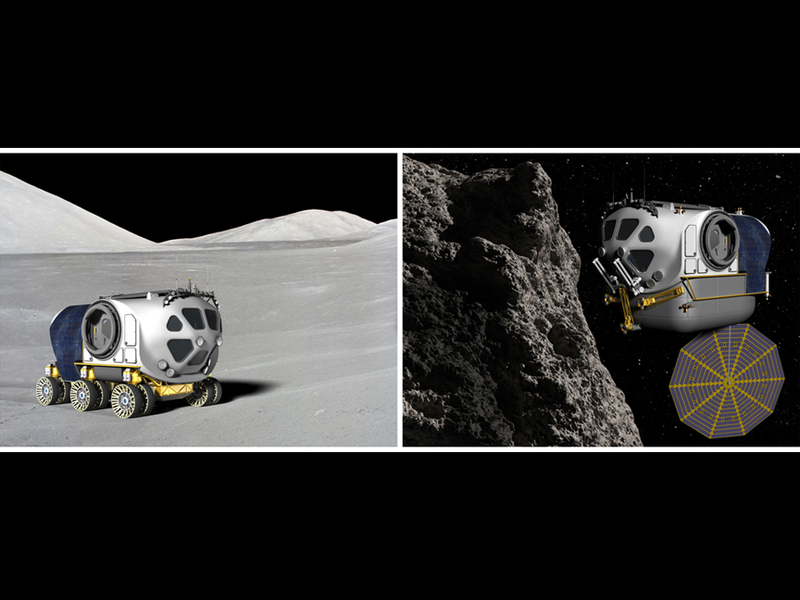 On planetary surfaces, astronauts will need surface mobility to explore multiple sites across the lunar and Martian surfaces. 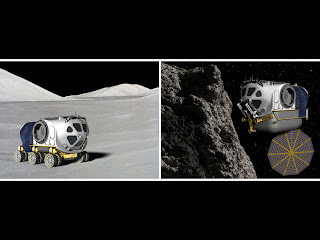 The SEV surface concept has the small, pressurized cabin mounted on a wheeled chassis that would enable a mobile form of exploration. These two components could be delivered to the planetary surface together, or as separate elements. 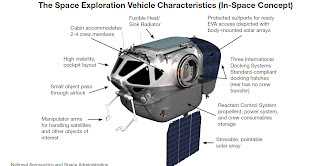 The SEV can provide the astronauts’ main mode of transportation, and – unlike the unpressurized Apollo lunar rover – also allow them to go on long excursions without the restrictions imposed by spacesuits. The pressurized cabin has a suitport that allows the crew to get into their spacesuits and out of the vehicle faster than before, enabling multiple, short spacewalks as an alternative to one long spacewalk. The surface exploration version of the SEV also features pivoting wheels that enable “crab style” sideways movement, which helps the vehicle maneuver over difficult terrain. Its tiltable cockpit provides the drivers the best possible view of the terrain ahead. Astronauts can drive the mobility chassis, called Chariot, without the pressurized cabin by riding in rotating turrets while wearing spacesuits. Additionally, Chariot can be used to carry cargo. The modular design allows various tools – winches, cable reels, backhoes, cranes and bulldozer blades – to be attached for special missions. It could even pick up and reposition solar-powered charging stations, communication relays and scientifi c packages. The in-space version of the SEV would have the pressurized cabin on a flying platform and allow astronauts to live inside for up to 14 days. It would provide robotic manipulators to grasp objects for observation, and allow astronauts easy access to space via the suitports, to maximize their productivity performing spacewalks outside of the cabin.